Logo:Minnesota Timberwolves logo with New Era stitched logo on side front panel. Colour: Heather Grey. Fly your own flag with the new 2019 flat brim baseball cap from New Era. Underside of Brim Colour: Navy. CAP MODEL: 9TWENTY® CLOTH STRAP. Logo: Wests Tigers logo with New Era stitched logo on side front panel. Fly your own flag with the new 2019 flat brim baseball cap from New Era. Underside of Brim Colour: Dark Green. Style:6-panel snap-back adjustable cap, with a high structured crown. Classic Mitchell & Ness NBA Snapback Hat. High Profile, Eastern Conference Side Patch. NBA Authenticity Sticker Under the Brim. Red Colorway Underneath Brim of Hat. Has a thick, Durable Panel Material. Logo: South Sydney Rabbitohs logo with New Era stitched logo on side front panel. Fly your own flag with the new 2019 flat brim baseball cap from New Era. Underside of Brim Colour: Dark Green. Style:6-panel snap-back adjustable cap, with a high structured crown. Oakland Raiders New Era NFL 2018 NFL Sideline Knit Beanie - Black Keep warm like your fav Raiders players on the sideline with this premium NFL 2018 NFL Sideline Knit Beanie by New Era. Keep warm like your favRaiders players on the sideline with this premium NFL 2018 NFL Sideline Knit Beanie by New Era. Material 80% Acrylic 20% Wool. Classic New Era NBA 950 Snapback Hat. High Profile, NBA Classic 2Tone Snapback Cap. Grey Colorway Underneath Brim of Hat. NBA Authenticity Sticker Under the Brim. NBA Embroidered graphics on the back. Logo: Essendon Bombers logo with New Era stitched logo on the side. Fly your own flag with the new 2019 AFL beanie from New Era. Rugby Union. Aqua Footwear. Colour: Grey. Our passion is in all sports which show in all of our products. Logo: Geelong Cats logo with New Era stitched logo on the side. Fly your own flag with the new 2019 AFL beanie from New Era. Rugby Union. Aqua Footwear. Colour: Grey. Our passion is in all sports which show in all of our products. Fly your own flag with the new 2019 AFL beanie from New Era. Rugby Union. Aqua Footwear. Colour: Grey. Our passion is in all sports which show in all of our products. Gym & Fitness. Made From: 100% Acrylic. Logo: Hawthorn Hawks logo with New Era stitched logo on the side. Fly your own flag with the new 2019 AFL beanie from New Era. Rugby Union. Aqua Footwear. Colour: Grey. Our passion is in all sports which show in all of our products. 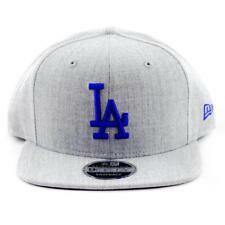 Logo: Stitched Los Angeles Dodgers logo with New Era stitched logo on side front panel. Fly your own flag with the new 2018 flat brim baseball cap from New Era. Underside of Brim Colour: Blue. Rugby Union. Fly your own flag with the new 2018 flat brim baseball cap from New Era. Logo: Stitched New York Yankees logo with New Era stitched logo on side front panel. Underside of Brim Colour: Navy. Rugby Union. Fly your own flag with the new 2019 AFL beanie from New Era. Logo: Carlton Blues logo with New Era stitched logo on the side. Rugby Union. Aqua Footwear. Colour: Grey. Our passion is in all sports which show in all of our products. Men's Cincinnati Reds Red/Black MLB Team Classic Road Flex Hat. Sent with Australia Post Pre-Paid Parcel Post Satchel 500g. Fly your own flag with the new 2019 AFL beanie from New Era. Logo: Richmond Tigers logo with New Era stitched logo on the side. Rugby Union. Aqua Footwear. Colour: Grey. Our passion is in all sports which show in all of our products. Cleveland Cavaliers Team Colour Knit. Show your love for your team with their team colours and the new era logo embroidered on the side. Made of 100% Acrylic, Woven. This is not an acceptance of your order. Logo: Sydney Swans logo with New Era stitched logo on the side. Fly your own flag with the new 2019 AFL beanie from New Era. Rugby Union. Aqua Footwear. Colour: Grey. Our passion is in all sports which show in all of our products. Miami Heat Team Colour Knit. Show your love for your team with their team colours and the new era logo embroidered on the side. Made of 100% Acrylic, Woven. This is not an acceptance of your order. Once you receive a despatch notice from us your order has been accepted. High Profile, NBA Classic 2Tone Snapback Cap. Classic New Era NBA 950 Snapback Hat. Grey Colorway Underneath Brim of Hat. NBA Authenticity Sticker Under the Brim. NBA Embroidered graphics on the back. Fleece lined. Material: 100% Acrylic. Pom on top. Fly your own flag with the new 2019 flat brim baseball cap from New Era. Underside of Brim Colour: Dark Green. Style:6-panel snap-back adjustable cap, with a high structured crown. Colour: Dark Green. Relaxed-Fit 9Twenty Adjustable Cap with a flat, soft crown and a small curved visor. Rear adjustable. Salute to Service Collection. Team logo embroidery at the front and NFL logo on the back. Logo: Boston Celtics logo with New Era stitched logo on side front panel. Colour: Heather Grey. Fly your own flag with the new 2019 flat brim baseball cap from New Era. Underside of Brim Colour: Green. Carolina Panthers New Era NFL 2018 NFL Sideline Knit Beanie - Blue Keep warm like your fav Carolina Panthers players on the sideline with this premium NFL 2018 NFL Sideline Knit Beanie by New Era. Keep warm like your favCarolina Panthers players on the sideline with this premium NFL 2018 NFL Sideline Knit Beanie by New Era. Fly your own flag with the new 2019 AFL beanie from New Era. Logo: Greater Western Sydney Giants logo with New Era stitched logo on the side. Our passion is in all sports which show in all of our products. Logo: Fremantle Dockers logo with New Era stitched logo on the side. Fly your own flag with the new 2019 AFL beanie from New Era. Rugby Union. Aqua Footwear. Colour: Grey. Our passion is in all sports which show in all of our products.